IDM is a simple powerful downloading tool which now day is used by every one to download all type of files.While downloading a files with IDM we can pause,resume,retart or put the downloads in queue according to our requirement.IDM enables the featue to downloading any video or audio file which is being played on a specific sites like youtube,etc. To download Patch click here. Steps for installing and registring IDM. 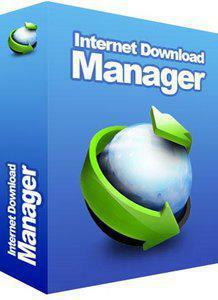 Install IDM in any drive as per your wish. Wait till installation of IDM completes. Once,installation is complete,open tha Patch. A popup will open,read it carefully and if you agree then press ok.
A window will open,you can generate serial key and register IDM or Patch. To register with serial key,click on generate and then copy and paste the serial key in your IDM registration window.NOTE:Registering IDM with serial keys will work for few days only as the IDM servers are updating serial keys regularly. To patch IDM,first close IDM,open patcher,click on patch. Select the exe file and click on open. You will get a message "IDM.exe successfully patched!". Then click on ok and AutoReg. Thats it,your IDM is successfully registered.